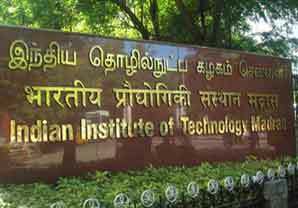 Indian Institute of Technology Madras (IITM), Chennai, occupies a unique position among the academic institutions in the country as a leader in executing a variety of rural development consultancy and research projects. The department of Rural Technology Action Group (RuTAG)—Tamil N adu at IITM is a synergizing platform and dedicated arm for science and technology interventions for rural development. 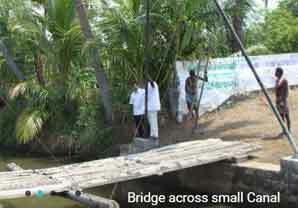 Recently IITM and Sri Aurobindo Society have formalized an agreement (through an MOU) for the Institute to administer training programmes and share innovative rural technology and tools for the social and economic development of villages under Sri Aurobindo Rural & Village Action & Movement (SARVAM). 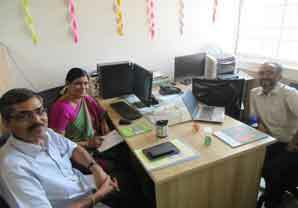 On March 8, 2019, the Directors of SARVAM visited Professor in Charge Abhijit P. Deshpande, Rural Technology Action Group (RuTAG), IITM, and participated in detailed talks to formulate a plan to harness the benefits of technology for improving quality and productivity of everyday life and livelihoods in rural areas. Professor Deshpande expounded on the various research studies, concretized programmes and innovative technological developments which can greatly help the populace of the villages of SARVAM. He also showed keen interest in conducting training programmes for students from SARVAM centres for the identification of problems, development of solutions, their scale-up/scale-down and finally dissemination to the end users, motivating the students for a scientific way of thinking, living and finding solutions to problems. In addition, the Professor and Directors of SARVAM discusse d the possibilities of sending IITM research students in the rural milieu of SARVAM to conduct live research projects that address real-life issues and bottlenecks to rural development. There are great possibilities in this association to provide a platform for interactions among the faculty, students and developers working in rural technological context from IITM and the ground-level expertise SARVAM has gathered in the last decade of working in the villages in and around Puducherry and Villupuram.